Med Cruises – Massive Savings! If your idea of a sensational cruise is to visit sun drenched islands, sail in beautifully deep blue seas and enjoy wonderful beaches and charming towns, perhaps a Mediterranean cruise would suit you. ‘The Med’, as it is sometimes known, is a hotbed of experiences just waiting to be had. You have the chance to go back in time or to experience towns and cities as they are today. Indeed, a Mediterranean cruise is a wonderful experience you may find hard to resist. Which ports of call do Mediterranean cruises visit? There is no easy answer to that question, except to say it all depends on which part of the Med you decide to cruise to. So let’s take a look at some of the possibilities. For example the Western Mediterranean offers such ports of calls as Palma, Barcelona, Rome, St Raphael, Gibraltar, Portimao and Tangier, to name just a few. However if you would prefer to explore the Eastern Mediterranean you will have altogether different ports of call to head for. Some examples include Corfu Town, Dubrovnik, Venice, Marmaris, Istanbul, Mykonos Town, Piraeus, Limassol and Kusadasi. As you can see, it makes sense to focus on where in the Mediterranean you would most like to go before you start looking for potential cruises. With such a large area and many ports of call to consider, a plan is a good thing to have. It is also worth noting that Mediterranean cruises give you the opportunity to visit islands as well as mainland destinations. With countries visited including Italy, Spain, Turkey, Greece and the Greek Islands and much more besides, this is a very full cruise that is well worth taking. This holds true regardless of whether you go for a week or much longer. Let’s jump on board some of the Mediterranean cruises (sample itineraries) to see what kinds of trips you can take. The so called Med Adventure cruise offered by Marella lasts for seven nights and departs from Palma. It then cruises to Calvi and Livorno before stopping at Villefranche and Toulon. It also takes in Barcelona before returning to Palma once more. An alternative cruise offered by Thomson focuses on the highlights the Mediterranean has to offer. In this example the seven night cruise departs once again from Palma and then takes in Ajaccio, Rome and Livorno before moving on to St Raphael and Barcelona, and then finally returning to Palma. If you would prefer a longer cruise of eighteen nights, you may want to consider this Mediterranean cruise offered by P&O Cruises. Here you depart from Southampton before heading to Lisbon in Portugal. You then move on to Cadiz in Spain, before taking in Valencia, La Goulette, Naples, Civitavecchia, Livorno, Cannes, Barcelona, Gibraltar and finally Southampton again. Norwegian Cruise Lines (otherwise known as NCL) also has a range of Mediterranean cruises to consider. A good example here is a twelve night cruise which begins in Spain and ends in Venice, Italy. Along the way you will stop at Toulon in Provence, Livorno, Civitavecchia, Naples, Mykonos, Istanbul, Izmir, Piraeus and finally Venice. As you can see, the longer cruises are capable of taking in many eye opening stops along the way. This means you have the opportunity to visit several countries and not feel at all rushed either. Which cruise lines dominate in this area? 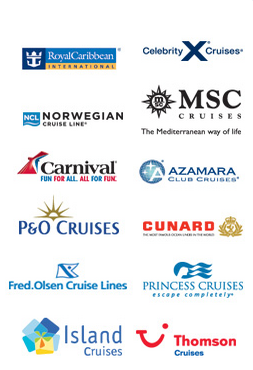 As you can see from the information above, NCL, P&O and Marella all offer cruises in and around the Mediterranean. Iglu Cruises also have details of cruises to the Med, and you can also take a cruise with Royal Caribbean. This is good news for you, because you can explore all the opportunities for cruises to the Med on the market today. Clearly some cruise lines will be more upmarket than others, while some will be more affordable than others. But here you have a good choice across the whole range, offering you the ability to choose the perfect Mediterranean cruise for your requirements.